Our highly experienced team offer our clients the best option to source finance on their behalf. 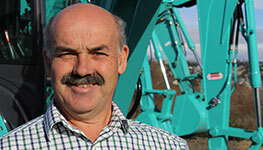 Steve has over 40 years finance experience including the past 20 years specialising in equipment finance. With an extensive knowledge of numerous industries, he spends time understanding what makes his client’s business tick before providing the appropriate finance solutions. Long term relationships with a diverse client base and a good working association with lenders are crucial in his role. Steve has a Diploma in Financial Services (Finance/Mortgage Broking Management) and has been a Justice of the Peace for the past 27 years. His spare time is spent with family or training for the Australian Open Golf tournament (or at least a hole in one). Paul has been working in the finance sector since 1989 and has a Diploma in Financial Services. His finance industry experience includes the past 12 years dedicated to asset finance, an area which he enjoys working in a wide range of industries and in particular organising heavy equipment finance loans. Paul also has a very sound understanding of the lending policy and criteria required for different Lenders and is therefore well placed to source the best loan and structure for his clients. It’s not all work and no play for Paul, being a proud Bomber supporter in the AFL and enjoys most sports including a game of bowls to bend the elbow and also throwing out a line for that big one! Paul has worked in the Finance industry for 39 years initially for the ANZ Bank for 20 years ultimately being the Senior Commercial & Agribusiness Manager on the North West Coast. He then left to become a Business Banker for Tasmanian Banking Services (alliance between Bendigo Bank & Tasmanian Perpetual Trustees) where he worked for 4 years. Paul has now worked for Capitalcorp Equipment Finance for the past 15 years specialising in agribusiness & small business equipment finance. 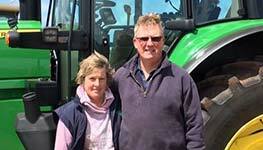 Paul is passionate about agribusiness and has an extensive knowledge of most rural industries. He purchased a cropping/beef farm at Stowport over 10 years ago which he runs in his spare time with his wife Pip & son Luke. Paul is an active member of the Burnie Rotary Club and his other interests include following his two sons his eldest son Ryan in Melbourne with his career in Entertainment Management & Basketball & youngest son Luke with his career as a Diesel Fitter & sport Football playing for the East Ulverstone Crows Football Club. Finally he also enjoys following the Collingwood Football Club. 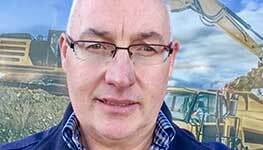 Alan has had a wide and varied work history ranging from working on broadacre farms in NSW in his teenage years to now financing 200+ tonne cranes & excavators. 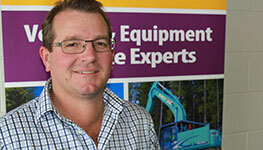 Alan has a Bachelor of Agricultural Economics degree & his finance career has taken him from country NSW where he worked with the ANZ Bank in the Central West, down to Tasmania with Esanda Finance where he took on a specialist heavy equipment finance role within the earthmoving, forestry, ag contracting, road freight & materials handling industries. Alan joined Capitalcorp in 2001 when they first started operations in Tasmania and has continued to build strong relationships within the above industries and has branched out into numerous others. When not at work Alan enjoys drifting for flathead out of his small tinny in Bass Strait and netting the occasional escapee Atlantic salmon on Tasmania's West Coast.